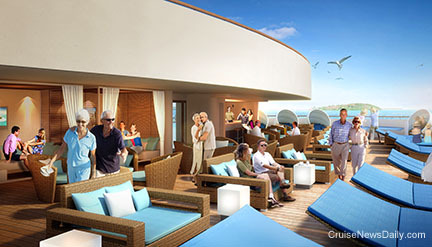 Construction has begun on the new Banana Coast cruise port on Honduras' Caribbean coast, shown in these artists' renderings. 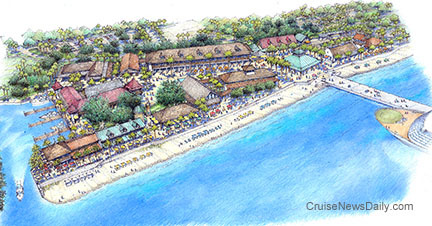 Like similar self-contained resorts for cruise passengers, Banana Coast will offer twin berths for post-Panamax ships, a large sandy beach at the foot of the finger pier, a world-class shopping complex, and a transportation hub and marina for shore and water-based excursions. The difference is that Banana Coast is located at the western end of the Caribbean. 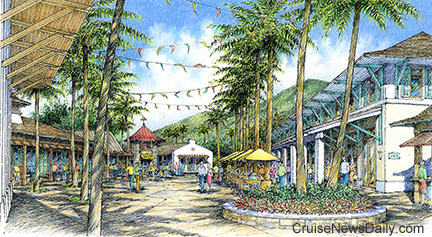 The facility is scheduled to be completed and open to cruise ships in late 2012. Costa Romantica is scheduled for a major refit and updating this fall running from October 2011 through January 2012. Costa says it's an evolution of the product resulting in changes so dramatic to the ship it will be renamed Costa neoRomantica. A major part of the construction will be the construction of two half decks on the forward part of the ship, dramatically changing the ship's profile. Not only will the ship's capacity increase, but there will be construction of a number of new public rooms. 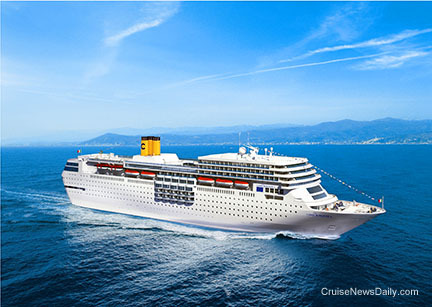 Rendering of the new Costa neoRomantica at sea. The new lido bar Monte Carlo. Grand Bar Piazza Italia is a new cabaret and bar with a dance floor. The Ristorante Samsara is a new private restaurant dedicated to the new spa staterooms and suites. 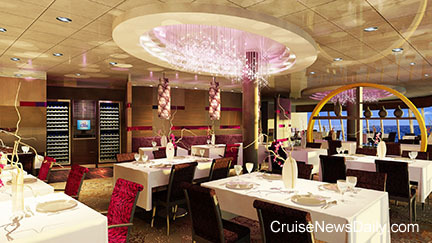 Complete details of the project were published in the August 8, 2011, edition of Cruise News Daily.